Is Christmas really the most wonderful time of the year? New Yorkers Robyn Lane and Sidney Bellows aren’t so sure. Robyn has always dated struggling creative types. For once, her parents would love her to bring someone with health insurance and a 401(k) to their Chrismukkah celebration. Her actor boyfriend doesn’t qualify. While across town, Sidney’s professional life already belongs to her parents. She’s an attorney at her father’s law firm and she works tirelessly to keep her love life private. If she brings her lawyer boyfriend to their annual Christmas extravaganza, her parents will have the wedding planned by New Year’s Eve. A mutual friend playfully suggests they trade boyfriends for the holidays. The women share a laugh, but after copious amounts of wine, decide The Boyfriend Swap could be the perfect solution. This way, Robyn can show off her stable attorney boyfriend and Sidney’s high-society family will take no interest in her flaky actor beau. It’s a brilliant plan—in theory. In practice—not so much. 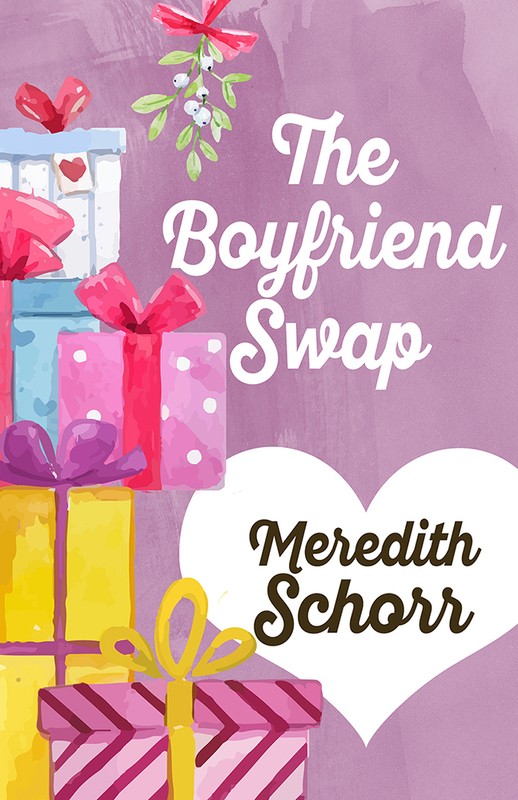 When Will turns out to be the boy-next-door Robyn crushed on hard throughout her teenage years, and Sidney’s family fawns all over Perry like he’s an Oscar-winner rather than a D-list wannabe, one thing is certain: The Boyfriend Swap might just change their lives forever.